In November LADWP crews closely monitored the Woolsey fire and coordinated closely with both LA County and LA City fire departments to assist as needed and support firefighting efforts. 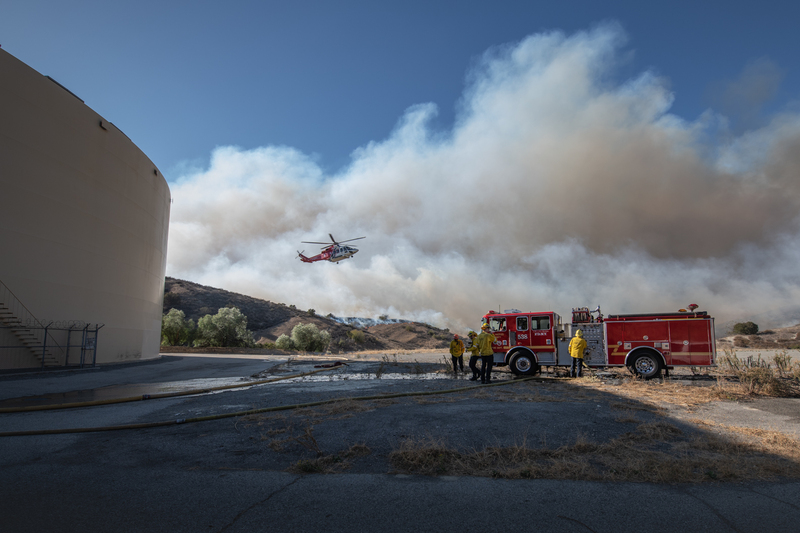 Both LADWP’s Chatsworth Reservoir and two 10-million gallon Kittridge Tanks, located in West Hills, were used to provide water to aerial helicopters battling the blaze and LADWP crews at both facilities closely coordinated support operations with LAFD and LACoFD. LADWP’s water and power systems were not directly impacted by the fire, and water and power flow remained strong across the City. Had the fire moved into areas of the City served by LADWP or adjoining areas where transmission lines are located , LADWP crews were ready to assist firefighting efforts by shutting off power to specific areas of affected neighborhoods, or by rerouting power to other transmission lines. Our thoughts and prayers are with all of the residents and families impacted by this historic fire.